On behalf of admin of JML Law, A Professional Law Corporation posted in Car Accident on Friday, Sep 22 2017. If you’re crossing streets in Los Angeles, California, or — worse — driving a vehicle on LA’s roads, you should be aware of the city’s increasing car accident rates. The city’s increase in traffic deaths outpaces national trends in the United States even despite Mayor Eric Garcetti’s efforts to reduce the number of fatal traffic crashes on the streets of LA. In 2016, 260 people died in crashes involving cars in Los Angeles, a sharp increase of almost 43% over the previous year. Rising car accident rates show no signs of going away in 2017, and so far this year crash fatalities are 22% higher than in the same period last year. 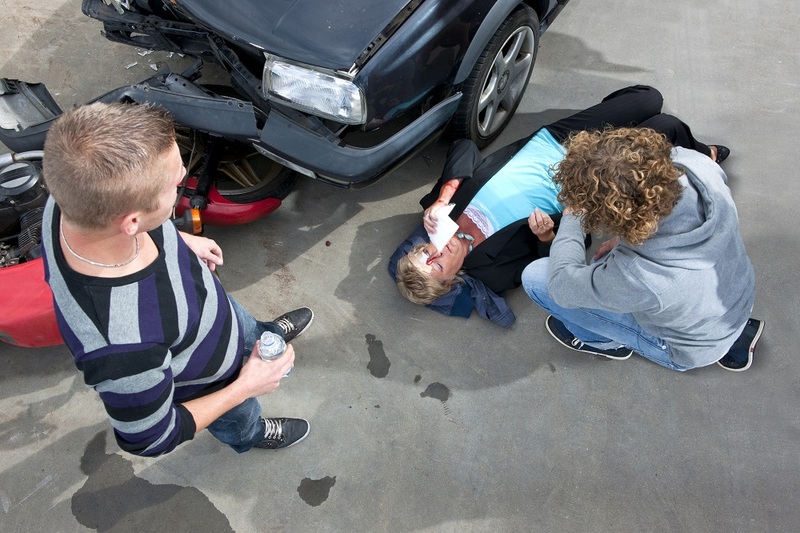 If you or a loved one has been involved in a car accident contact a Los Angeles car accident attorney. Why hire a car accident attorney in Los Angeles? Many pedestrians tend to think, “Oh, I don’t have a car so I’ll be just fine.” Well, that is wrong. Pedestrians make up nearly half of the fatalities in traffic collisions in the U.S., so walking down the street in Los Angeles can be just as life-threatening as driving a vehicle. In fact, the Los Angeles Police Department is issuing substantially fewer speeding tickets today, which may be a major culprit behind the sharp increase in car accident deaths in LA. But why and when exactly do you require a Los Angeles motor vehicle accident attorney’s assistance? In order to obtain and — potentially — maximize your compensation, it’s vital to contact a car accident attorney after all the parties involved receive proper medical care. Write down as much information about the other person(s) and their vehicle(s) involved in the car accident as possible. What’s the vehicle’s model, color and license plate number? What’s the other party’s ID? The best thing about owning a smartphone is that you can take photos and record a video of the car accident scene to increase your chances of winning a favorable settlement or verdict. Make sure the hospital or urgent care clinic documents your injuries, if any. Last but not least – hire an attorney, preferably one from a well-established law firm such as JML Law. Call JML Law at 818-610-8800 to schedule a free initial consultation. Please note that while having the police report can help speed up an attorney’s investigation, a JML Law car accident attorney can launch their independent investigation of your case. An attorney will also help you find a qualified physician who will not charge any fees until after you’ve received injury compensation through settlement or verdict. One of the most common mistakes car accident victims make is agreeing to an initial settlement offer from their insurance company without consulting a Los Angeles car accident attorney first. If you want to obtain compensation for all the damages, including medical bills, visits to your physician, lost wages and earning capacity, it’s vital to let an experienced attorney handle your case and establish the full value of compensation. If you’ve been involved in a car accident and aren’t sure what the next step is to receive compensation and win a favorable settlement, seek proper medical care if you’re injured, and then contact JML Law at 818-610-8800 or send us an email.